Checked bags experience their own travel odyssey. Let us examine air travel from a checked bag’s point of view. The bag arrives at the airport freshly packed, perhaps over packed, where it is dragged from the car trunk to the scale at the ticket counter or curb. Some airports load checked bags on conveyors to a TSA screening area in the bag room behind the ticket counter. Some require passengers to take them to a central TSA inspection area. TSA passes the bag through a machine that looks like hospital equipment which scans the contents. If the contents look suspicious or your ticket reflects a suspicious reservation, the bag will be opened and pawed through. If they open your bag, they are required to leave a message stating that they were inside. If the bag contains items on the lengthy ‘forbidden items’ list, such as spray starch or lighter fluid, you will be paged and informed. If you do not answer the page, TSA will document removal of the item and give it to the airline. This is a good time to discuss locks. If a bag is locked, TSA officers may be curious, nay suspicious, about why it is locked and decide to look inside even if no nefarious objects show up on the scanner screen. If it is locked, they report their interest to the airline which pages the traveller to return to the ticket counter to open the lock. If the traveller does not respond, TSA will cut the lock. If you must lock your bag, stand by while it is inspected in case you are summoned. The bag arrives in the bag room, usually by conveyor, often landing in a pile of other bags, perhaps falling off the end of the conveyor onto the floor. The bag room, also known as the makeup room, is the warehouse-sized area behind the ticket counter lined with baggage carts. Carts are designated for imminent flights and bags are put on the carts as they arrive. Hub airports may use automated sorting systems to route bags to the correct cart. Before and during passenger boarding, baggage carts are towed planeside and the bags are scanned as they are loaded on a conveyor belt to the cargo hold where a ramp worker crouches painfully inside, cramming as many bags in the tight space as possible. Stacking bags to maximize space is an art form. Tight bag storage also reduces movement and helps prevent chafe against other bags, cargo bay walls, and fasteners in the metal floor as the plane banks and vibrates. You do not feel the movement in the cabin, but bags are not so lucky. They are secured inside the cargo bay with net curtains fastened from the ceiling to the floor to control shifting. Upon arrival, the process is reversed. Ramp workers remove the bags, scan them, and load them on awaiting carts. Occasionally, bags fall off the conveyor. They might even fall off carts. It does not happen often. If the bag is connecting, it is delivered to a bag room and sorted to the cart of the connecting flight. Sometimes bags bypass the bag room and are delivered directly to their connecting flight. At the final destination on the bag tag, ramp workers deliver bags to the BSO on a conveyor system, also known as a carousel, where they ride around until they are dizzy. The conveyor system is a closed loop. Bags set on one conveyor will not end up on a different one. Their paths do not cross. Meanwhile, passengers are en route to Baggage Service as well. At the carousel, bags and passengers are reunited and it feels so good. Even now, if you have any confusion, just dial Easyjet contact number and ask the expert professionals and get your queries resolved. I’m sure that as a first-time tourist, you may say that Milan is a wonderful place with no flaws. Indeed, Milan is full of places with culture and historical value, and there is never a night when you can go without having something to do. Events are everywhere, historical sites are at every corner and you’ll always be left in awe by the sheer beauty of the city. 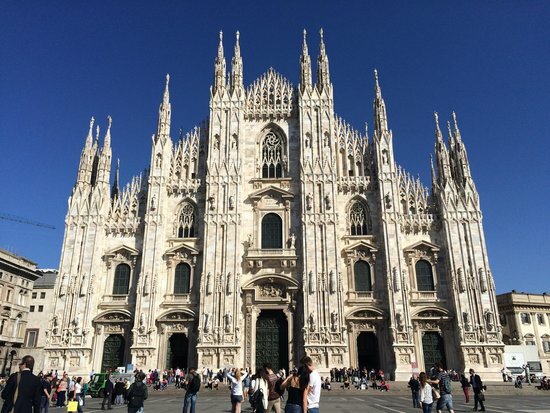 However, as beautiful as Milano can be, there are also some things that you may want to be careful about. Every great city is bound to have some flaws, and as a tourist, you may want to keep them in mind. Here are the three top negative things I’m sure you didn’t know about Milano. Pickpockets are everywhere; the only difference is how many you find in different areas. Since Milan is a great touristic spot, it’s also a mine of gold in the hands of pickpockets. They have learned the ‘art’ of going through your pockets without getting detected, which is why you may want to keep your purse and your wallet very guarded. Metro and bus stations are the main places where you’ll see pickpockets, but don’t underestimate the outdoor monuments either. Those are the places which allow them most to “hide,” simply because they’re so crowded and you could easily lose your tracks there. Milan is packed with two types of vendors. There are those who try to (annoyingly) convince you to buy their overly priced souvenirs, and those who just give them to you… and then demand money. If you’ve always believed that Milano is a fairytale story where nothing can go wrong, think again. One minute you can be peacefully admiring the streets and the second you will see a vendor quickly start putting bracelets on your wrist before you noticing. If would have been great if it were free; however, once strapped on, they will demand money. And since it’s Milan… the price will also be big. While a normal city would be peaceful in traffic and wary of the red lights, Milan is exactly the opposite. If you are a driver in Milan, prepare for having your nerves tested in the constant traffic jams. If you are walking around, however, you are also not safe from dangers. Red lights are ignored, cars are ruining the beauty of the city and the number of tourists driving in will also make the traffic unbearable. One way to avoid traffic jams and other circumstances which will leave you without your money is to book a Milan airport taxi. Unlike the public street taxis, these can be arranged beforehand so that you will not have to wait in long lines for a drive. Plus, the price can also be found out beforehand, so that you will not be overpaying for a ride. Most of these Milan airport taxi services were made to rival public taxis by being cheap and honest with their customers. Lots of people love to go on a vacation every year at the same time. It is a great way to get away from the rat race and recharge the batteries. Kids get to have time off school and study, and parents are able to relax away from the workplace and home. In fact, many studies show that regular time away from the workplace is not only beneficial, but actually necessary if people are to continue to be happy and productive. Too much work can certainly lead to high levels of stress and anxiety, and in some people it can even lead to chronic depression and other illnesses. There are many people that choose to go on vacation in the great outdoors. This country offers many great outdoors experiences and things to do and see. This kind of trip is also a great way to save money and practice being frugal. Some people associate saving money with a lesser experience, but this does not necessarily need to be the case. One can certainly save money on vacation and have a good time! If you really want to experience the wonders that the great outdoors has to offer, why not take your family there in style and rent a reliable RV from a vehicle rental company? RV rental in the USA is common and a very affordable way to have the vacation that you want. Size: A choice of different-sized vehicles from a fleet of well-maintained ones from a reputable rental company with experience means that you can find one to accommodate all vacationers. Engineering: All modern RVs have been precisely computer designed. This means that they are well specified to serve the needs of an entire family without feeling squeezy or squishy. Inclusions: Modern RVs like this also include an amazing number of features, like fold-out double beds, cooking utilities, comfortable bench seating, audio and video ports and utilities, kitchen sinks, air conditioning, and extra storage space for additional food or baggage! Extras: The best and most reliable vehicle rental companies also offer a number of useful extras, including a GPS system, baby and child seats, winter packs for those cold months outdoors, solar showers that are extra-large, extra linen and kitchen utensils, and options that relate to mileage. The number of quality features in an RV means that anyone can go on a vacation in style. One can experience the majesty of the great outdoors and still have access to a comfortable bed and kitchen and cooking utilities. By combining the rugged wonders of the great outdoors and the luxury of a well-designed modern RV, everyone gets to experience a vacation that is both comfortable and memorable. Look for a vehicle rental company with plenty of experience and a well-maintained fleet of RVs that offer the best in luxury and reliability.